We all know the importance of digitizing personal and family papers, books and photographs. Digitized versions of these documents are safe from disasters such as fire, flood and mold. Of course, if your USB flash drive or your computer’s hard drive fall prey to these elements, you’re out of luck, but if you save these items in the cloud or make multiple backups, it can take the sting out of these catastrophes knowing your documents and memories have been spared. 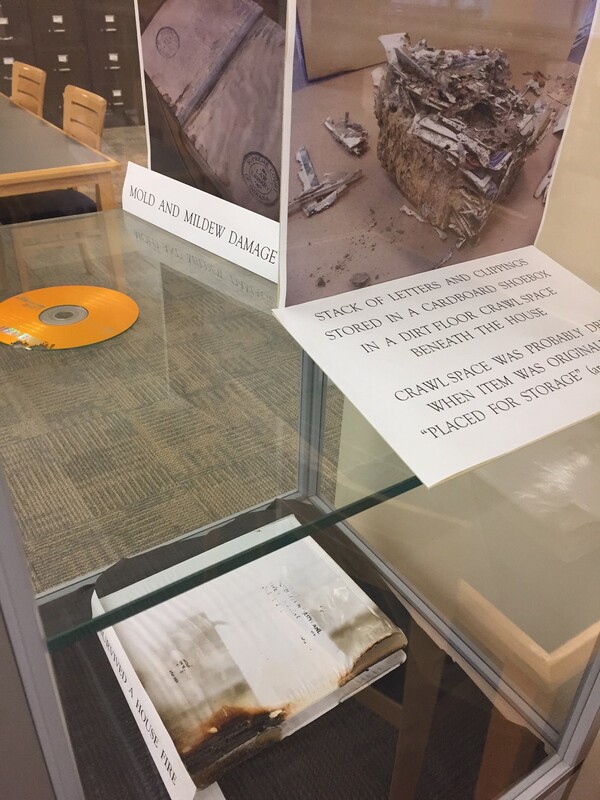 Display of damaged items in the genealogy room at the Indiana State Library. 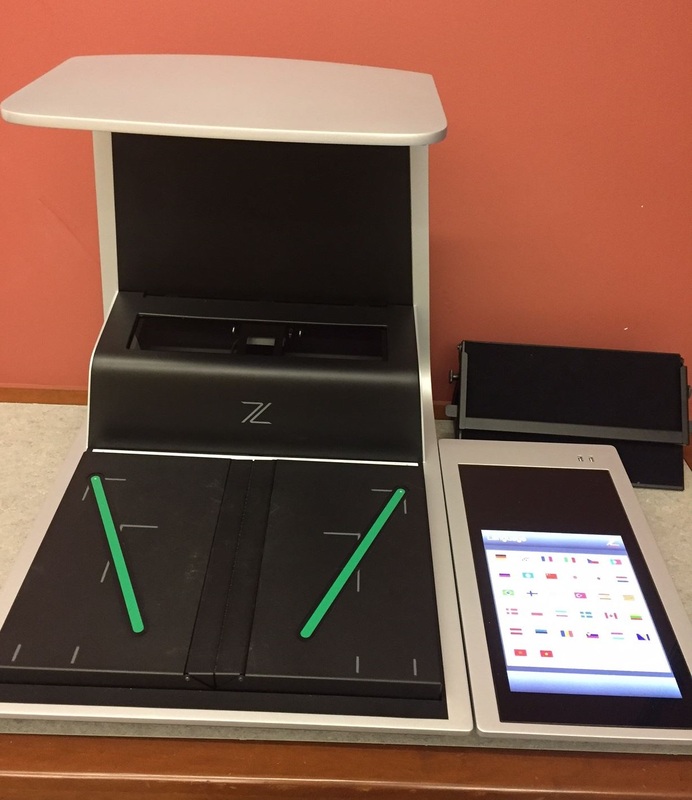 The Indiana State Library would like to introduce you to Zeta, the library’s new digital overhead scanner. Overhead means you do not have to awkwardly bend book spines in order to attempt to stick a book under a flimsy flap or make sure your document is pressed flush onto a glass scanning bed. The Zeta has the ability to scan documents sized up to 14” by 18.9” with an optical resolution of 300-600 dpi and features fast copy/scan with no overhead glare. The scanner has two USB ports for connecting storage devices. Zeta book, copy and scan system. The possibilities are endless when using the Zeta scanner. You can do everything from digitizing your grandma’s old recipe book to scanning and storing your collection of family vacation postcards. If you want to show someone how big your hair was in 1987, the Zeta can definitely handle yearbooks. The best feature, however, is that using the scanner is completely free of charge at the state library. So, bring in your items and start digitizing. Hopefully, you’ll never suffer a disaster, but if you do, at least your documents will be safe and sound. 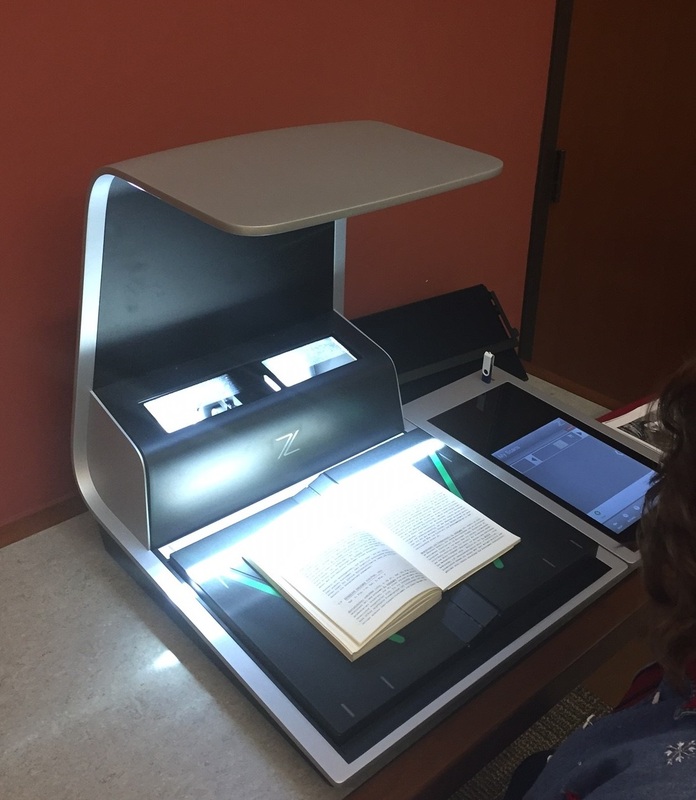 The scanner is located on the first floor of the Indiana State Library in the genealogy room. For more information on the Zeta scanner, click here. For more information on fair use and copyright, click here.